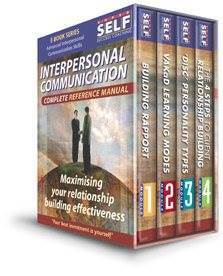 Learn the art of understanding the behavioural style of your client or work colleagues. Written by Australian Interpersonal Skills Specialist, Mark Coburn, this eBook reveals the secrets and techniques around understanding the your clients preferred personality type and how you can communicate with them in the best possible way that leads to win-win outcomes. Understanding the 4 different personality types of your client, dominant, inspiring, steady and conscientious.